ALS-linked C9orf72 expanded repeat RNAs gather RNA-binding proteins into foci and are translated into dipeptide repeat proteins (DPRs), potentially leading to motor neuron toxicity. Now, there may be a way to get rid of both of them in one fell swoop, with a Cas9 enzyme that destroys the RNAs. Gene Yeo and colleagues at the University of California, San Diego, report in the August 24 Cell that one of the first such RNA-targeted CRISPR/Cas9 treatments eliminates C9orf72 RNA foci in cultured mammalian cells. Their strategy joins several others aimed at the disease. The approach, however, according to Yeo, has several advantages: it reaches repeat-heavy RNAs in the nucleus; targeting RNA avoids the risk of imprecisely editing DNA; and the molecular ingredients are small enough to be packaged into an adeno-associated virus vector, suggesting it can be delivered into the CNS. “This is a highly innovative study that opens the exciting possibility of using CRISPR to specifically degrade repeat RNAs,” commented Fen-Biao Gao of the University of Massachusetts Medical School in Worcester, who was not involved in the study. “This new approach does not restore the level of C9orf72 protein. However, elimination of both toxic RNA and DPR proteins may be sufficient to alleviate disease phenotypes,” he speculated. Microbes rely on the CRISPR-Cas9 editing system to protect themselves from viral attack. “Clustered regularly interspaced short palindromic repeats,” or CRISPRs, found within their chromosomes, record the genetic sequences of invading viruses. Upon the next attack, RNAs encoded by the CRISPR sequences recruit the Cas9 enzyme to chop up the viral genomes. CRISPR/Cas9 is also rapidly adding to the toolbelts of scientists in the laboratory, accelerating the generation of knockout and tagged cell lines, and mouse models of disease. In 2016, Yeo’s team developed a nuclease-deficient, GFP-tagged Cas9 enzyme to visualize and track RNAs in live cells (Nelles et al., 2016). Then, they realized, if they hooked an RNase domain to the Cas9 enzyme, they ought to be able to degrade these transcripts, too. This could be particularly useful as a treatment for diseases linked to repeat-laden transcripts, said Yeo, because their structure and nuclear location makes them less accessible, and therefore harder to destroy by other therapies currently in the works including antisense oligonucleotides (Toulmé et al., 2001). Repeat expansions are associated with a variety of neurological conditions including Huntington’s disease (HD) and myotonic dystrophy (DM). 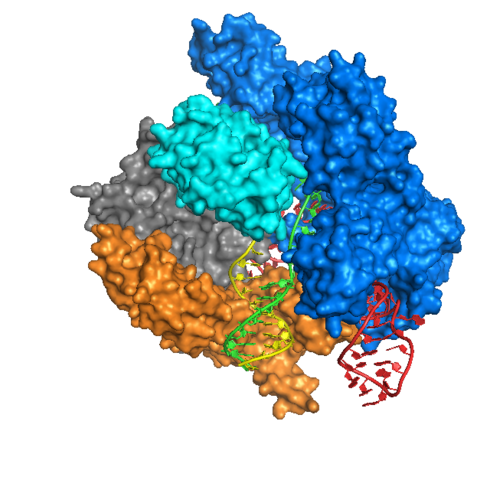 To turn Cas9 into an RNA-cleaver, University of California scientists Ranjan Batra, David Nelles, and colleagues hooked the enzyme to an RNA-snipping domain from SMG6, an endonuclease involved in nonsense-mediated decay. Then, they tested it in cultured cells, to see if the enzyme chopped up expanded repeat RNAs generated in three diseases: DM, HD and C9orf72 ALS. They transfected this hybrid Cas9 gene, along with DM, HD, or C9orf72 sense-strand repeats and a guide RNA directed against them, into mammalian COS cells. Every time, the Cas9 eliminated the repeat transcripts, said Yeo: “They’re basically all gone.” The Cas9 hybrid likely snips the repeats multiple times, but only needs to cut once, he added; intrinsic cellular RNA endonucleases then chew it to bits. The results suggested that RNA-targeted Cas9 could destroy expanded repeat RNAs and therefore may be useful therapeutically. To test this idea in vivo, Yeo’s team focused on DM, because much is known about the molecular underpinnings of that condition. They knew that the sequestration of the splicing factor muscleblind in muscle cells altered the cellular transcriptome to cause the disease. They simply needed to determine whether RNA-targeted Cas9 could release muscleblind from RNA foci and fix the transcriptome . To test this potential strategy, they used a lentivirus to produce CUG repeat RNA-targeted Cas9 to cultured myoblasts from people with DM. The treatment eliminated the target repeat RNAs. It also dissolved RNA foci containing muscleblind, restoring the splicing factor to its proper diffuse nuclear staining pattern. The treated cells regained a healthy splicing profile, restoring their transcriptomes. “It’s a very novel approach, it looks to be very, very powerful in targeting those repeat-containing RNAs,” commented Fabio Montrasio of Zürich, Switzerland-based biotech Neurimmune, who was not part of the study team. Presumably, a repeat RNA-targeted Cas9 could potentially be helpful in C9orf72 ALS too, Yeo said. But without knowing exactly how proteins sequestered or encoded by these expanded repeats cause the ALS pathology, Yeo was uncertain which assays could indicate therapeutic potential. His group is now using this RNA-targeted Cas9 approach to find out. Some scientists suspect that this repeat expansion may also make motor neurons more vulnerable to ALS by reducing levels of normal C9orf72, implicated in endosomal trafficking, axon growth, and/or the immune response (Jan 2013 news; Oct 2016 news; March 2016 news). Presumably, Yeo’s strategy would not fix this problem. However, he said, eliminating both the expanded repeat RNAs and DPRs might help scientists to determine whether loss of C9 function contributes to ALS, and what role it may play in the disease. RNA-targeted Cas9 could aid basic research in other ways, by targeting it to any RNA, suggested Shuying Sun of Johns Hopkins University School of Medicine in Baltimore, who did not participate in the study. With a new tool to manipulate RNAs, changing even their splicing or their trafficking, she speculated, researchers could explore their functions. ALS offers plenty of RNA biology worth investigating. For example, the cytoplasmic mislocalization of the RNA-binding protein TDP-43 in motor neurons occurs in most cases of ALS, leading to the missplicing of RNAs including long non-coding RNAs (see March 2017 news; Polymenidou et al., 2011). Understanding how the dysregulation of these RNAs may contribute to ALS may help scientists understand how these splicing defects may make motor neurons more vulnerable to the disease (see Salta and De Strooper, 2017). Yeo, however, is eyeing an even bigger goal. He envisions his RNA-targeted Cas9 as part of a gene therapy for repeat expansion disorders including C9orf72 ALS. A delivery vehicle would carry the DNA encoding the enzyme and guide RNA into neurons and glia. Then, these cells could make their own Cas9 and guide RNA, which could find and destroy any repeat transcripts. The approach, unlike many existing DNA-based CRISPR Cas9 approaches, enables the genome to remain untouched, which eliminates much of the risk to alter DNA in unexpected and undesired ways. And, according to Yeo, due to key advances in gene delivery vehicles, the RNA-targeted Cas9 may continue to be produced in motor neurons and glia, chopping up repeat-laden RNAs for long periods after a single treatment (for review, see Naldini, 2015). Yeo’s team is far from the only one targeting the C9orf72 repeat expansion. Antisense oligonucleotides (ASOs) against the repeats aim to destroy expanded repeat RNAs, and thereby reduce levels of dipeptide repeat proteins too (May 2016 news). RAN translation blockers or anti-DPR antibodies, it’s hoped, will vanquish the repeat peptides (Aug 2016 news; Zhou et al, 2017). And, drugs to fix nuclear export defects caused by the repeats are being developed by Karyopharm Therapeutics in Cambridge, Massachusetts (Aug 2015 news; Sep 2015 news). And, Yeo is not the only one leveraging the CRISPR/Cas9 system to target the disease. CRISPR Therapeutics in Cambridge, Massachusetts announced in May it will be collaborating with researchers at the University of Florida in Gainesville to test its strategies against ALS, by deleting the repeats or blocking their transcription. 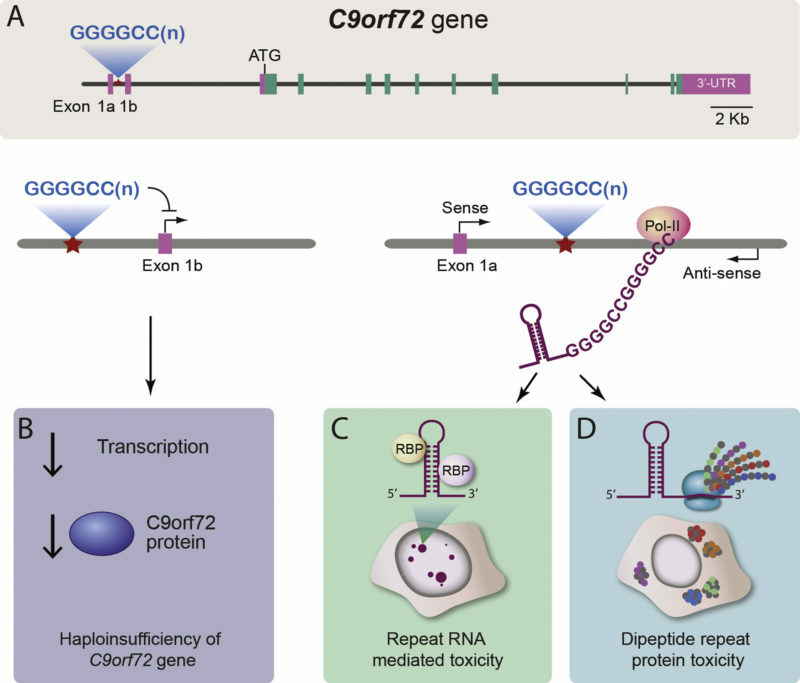 This could achieve a long-term solution to C9orf72 repeat toxicity, said Chad Cowan of Harvard Medical School in Boston, a co-founder of CRISPR Therapeutics. Directly editing DNA, however, has its downsides. The approach must be precise, without cutting or altering other sites in the genome. Proper editing must also be achieved in a large number of cells affected by the disease, such as neurons or muscle, said Yeo. That is, unless physicians edit the genome in early-stage embryos, as was recently shown to be potentially feasible (see August 2017 news; Ma et al., 2017). Yeo thinks his RNA-editing approach may be more effective, because it does not require the Cas9 to precisely modify the genome. It’s also probably more tolerant to error, Yeo said: Even if Cas9 misses a few repeat RNAs, the number of these RNAs will still be much lower. And if the enzyme destroys a few off-target mRNAs here and there, the cell can simply make more. RNA-degrading antisense oligonucleotide (ASO) therapy has been a popular choice amongst researchers to tackle C9orf72- and SOD1-based ALS (May 2016 news; Dec 2015 news). The strategy, pioneered by Ionis Pharmaceuticals in Carlsbad, CA, uses engineered oligos that bind their cognate mRNAs and either recruit RNAses or physically block translation (reviewed in Schoch and Miller, 2017). RNAi works similarly, but requires larger, double-stranded nucleic acids to find the target mRNAs. The downside of ASOs, according to Yeo, is that they are difficult to get into the nervous system and in cells, requiring regular infusions into the cerebrospinal space. The system he’s designing, in contrast, might last for much longer. 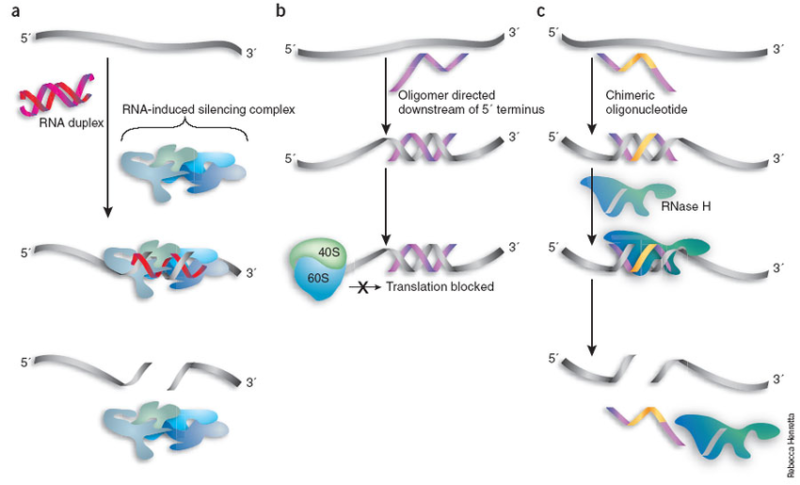 Also, ASOs sometimes have trouble binding to the complicated hairpin and quadruplex conformations that GC-rich repeat mRNAs like C9orf72 tend to adopt (for review, see Toulmé et al., 2001). RNAi also is poor at targeting repetitive RNA, and relies on Argonaute proteins, located mainly in the cytoplasm, to destroy them (Kataoka et al., 2001). Yeo’s Cas9 can reach RNA foci in the nucleus. Ionis, however, remains undeterred. To address these challenges, the company has developed ways to alter the chemical structures of ASOs, improving their pharmacokinetics. By tweaking the molecules, they’ve improved their stability in blood and availability to target tissues, as well as boosted long-term stability, affinity for the target RNAs and potency, at least in mice and non-human primates (Geary et al., 2015). Ionis scientists have also shown, in collaboration with University of Rochester’s Charles Thornton and colleagues in New York, that antisense can curtail levels of DM-linked nuclear RNAs in a mouse model, fixing their transcriptome (Wheeler et al., 2012). Now, in partnership with Biogen in Cambridge, Massachusetts, they are setting their sights on C9orf72 ALS (see March 2016, April 2017 news). Ionis and Biogen experienced both remarkable success and setbacks with their ASO strategies over the past year. In November of 2016, researchers halted a phase 3 trial of an ASO therapeutic for children with spinal muscular atrophy early—because the medication was so effective (see Nov 2016 news). The FDA approved the treatment in December. However, in January, Ionis and Biogen cut their ASO program for DM1 in the face of phase 1/2 results indicating not enough of the oligonucleotides concentrated in muscle tissue. Instead, they plan to try a new kind of ASO, known as Ligand-Conjugated Antisense (LICA), to improve drug delivery to muscle. Ionis Pharmaceuticals, however, is not the only one betting on ASOs as a treatment for ALS. Boston area startup Wave Life Sciences in Cambridge, Massachusetts, also announced that it will be tackling C9orf72 ALS in August, though the company has not specified what approach it will take. Wave specializes in “stereopure” ASOs to boost potency and thereby increase efficacy (Iwamoto et al., 2017). The company aims to start ALS clinical trials by the close of 2018. Meanwhile, Neurimmune, in collaboration with academic ALS scientists, is using a different approach to treat C9orf72 ALS. Their strategy: block the repeats at the protein stage, with antibodies to destroy DPRs. According to Montrasio, this approach may mitigate motor neuron toxicity by busting up intracellular DPR aggregates and recruiting immune cells to destroy extracellular deposits of DPRs. The approach may also block the cell-to-cell transmission of DPRs (Zhou et al, 2017). A key advantage of this strategy, according to Montrasio, is that unlike antisense oligonucleotides or RNA-targeted Cas9, these antibodies can remove DPRs and insoluble DPR aggregates that existed in motor neurons prior to treatment. But then, expanded repeat RNAs, which would remain untouched, could also contribute to ALS. A one-two punch with a treatment to dissolve RNAs and another, such as antibodies, to disassemble old aggregates might be the right approach, Montrasio suggested. C9orf72 repeats encode five different kinds of DPRs. So, Neurimmune is developing five different antibodies. Some DPRs seem to be more toxic than others (for review, see Moens et al., 2017). Therefore, it might be sufficient to neutralize only the most abundant or damaging ones, Montrasio added. Meanwhile, Sun’s team at Johns Hopkins University School of Medicine in Baltimore, Maryland is on the hunt, using high-throughput screening approaches, for small molecules that block RAN translation, which potentially could stop synthesis of all DPRs at once. They’re screening for molecules that block RAN translation, which potentially could stop synthesis of all DPRs at once. The main goal is to simply understand repeat translation, said Sun, but it’s possible they’ll find something that could be translated to the clinic, too. Yeo’s potential C9orf72 ALS therapy would require a delivery vehicle to get into the nervous system. An adeno-associated virus (AAV), such as AAV9, would fit the bill (see June 2017, December 2008 news). Recently, researchers led by CalTech’s Benjamin Deverman and Viviana Gradinaru in Pasadena, California, developed new AAV-based delivery vehicles, much more efficient than AAV9 at transducing cells in the nervous system (see July 2017 news). The catch: AAV only holds about 4.7 kilobases of DNA. Yeo’s team managed to shrink the Cas9 gene down into a few different versions they could cram into that tight space, 4.3 kb or smaller, suggesting that CNS delivery of repeat RNA-targeted Cas9 could potentially be feasible. Yeo said his group has already used this approach to deliver a potential RNA-based Cas9 DM therapy to the muscles of model mice, and it reversed muscleblind-mediated splicing defects. However, there’s much more to do before this method could be used to treat DM in people. For one, he’s working on developing an AAV vector that would only target specific cell types, to minimize any off-target effects. A potentially big disadvantage of this approach, said Cowan, is that unlike DNA-targeted strategies, RNA-targeted Cas9 must be continually produced, like the RNAs its meant to degrade. That’s an issue because Cas9 is a foreign, bacterial protein. Most commonly, researchers use Cas9 from the bacteria Streptococcus pyrogenes, which causes strep throat. While companies like CRISPR Therapeutics plan to express Cas9 temporarily, to edit the genome only once, the RNA-targeted therapy would need Cas9 to be present all the time, presumably for the rest of a person’s life. “Most of us have been exposed to [Strep Cas9]. Most of us have circulating antibodies to it. Most of us have a very robust immune response to peptides and proteins from that particular species of bacteria, including Cas9,” said Cowan. Yeo is also concerned that Cas9 could trigger an immune response, and therefore lead to unwanted side effects. So, Yeo’s team is bioengineering Cas9 to “humanize” the protein to reduce its immunogenicity. Scientists have taken a similar approach, for years, to make therapeutic antibodies, generated in animals, less immunogenic in people (for example, Zhang et al., 2013). Researchers, however, are optimistic they’ll create a treatment for C9orf72 ALS. The ASOs are likely closest to that point, so far, said Montrasio. But most scientists trying to develop treatments would be thrilled if any approach makes it to the clinic. “I’m cheering for anybody to win on this one,” said Cowan. Batra R, Nelles DA, Pirie E, Blue SM, Marina RJ, Wang H, Chaim IA, Thomas JD, Zhang N, Nguyen V, Aigner S, Markmiller S, Xia G, Corbett KD, Swanson MS, Yeo GW. 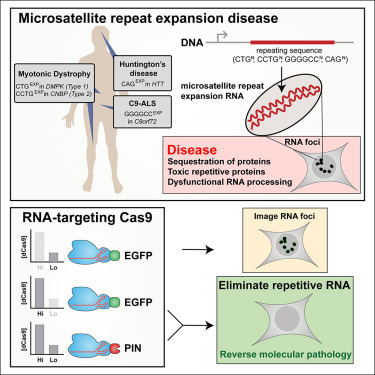 Elimination of toxic microsatellite repeat expansion RNA by RNA-targeting Cas9. Cell. 2017 Aug 24;170(5):899-912.e10. [PubMed]. 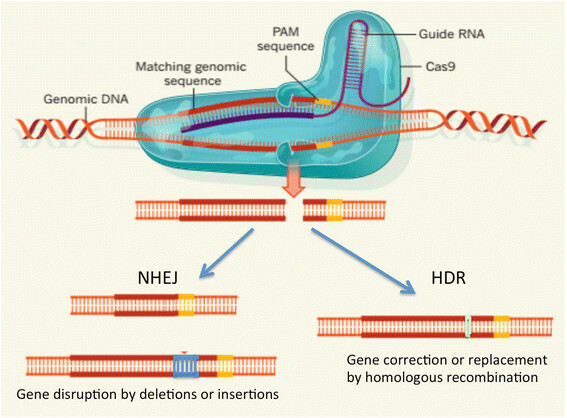 Doudna JA, Charpentier E. Genome editing. The new frontier of genome engineering with CRISPR-Cas9. Science. 2014 Nov 28;346(6213):1258096. [PubMed]. Nelles DA, Fang MY, O’Connell MR, Xu JL, Markmiller SJ, Doudna JA, Yeo GW. Programmable RNA tracking in live cells with CRISPR/Cas9. Cell. 2016 Apr 7;165(2):488-96. [PubMed]. Zhang D, Iyer LM, He F, Aravind L. Discovery of novel DENN proteins: Implications for the evolution of eukaryotic intracellular membrane structures and human disease. Front Genet. 2013 Dec 13;3:283. [PubMed]. Levine TP, Daniels RD, Gatta AT, Wong LH, Hayes MJ. The produce of C9orf72, a gene strongly implicated in neurodegeneration, is structurally related to DENN Rab-GEFs. Bioinformatics. 2013 Feb 15;29(4):499-503. [PubMed]. Sivadasan R, Hornburg D, Drepper C, Frank N, Jablonka S, Hansel A, Lojewski X, Sterneckert J, Hermann A, Shaw PJ, Ince PG, Mann M, Meissner F, Sendtner M. C9orf72 interaction with cofilin modulates actin dynamics in motor neurons. Nat Neurosci. 2016 Dec;19(12):1610-1618. [PubMed]. Hon CC, Ramilowski JA, Harshbarger J, Bertin N, Rackham OJ, Gough J, Denisenko E, Schmeier S, Poulsen TM, Severin J, Lizio M, Kawaji H, Kasukawa T, Itoh M, Burroughts AM, Noma S, Djebali S, Alam T, Medvedeva YA, Testa AC, Lipovich L, Yip CW, Abugessaisa I, Mendez M, Hasegawa A, Tang D, Lassmann T, Heutink P, Babina M, Wells CA, Kojima S, Nakamura Y, Suzuki H, Daub CO, de Hoon MJ, Amer E, Hayashizaki Y, Caminci P, Forrest AR. An atlas of human long non-coding RNAs with accurate 5’ ends. Nature. 2017 Mar 9;543(7644):199-204. [PubMed]. Polymenidou M, Lagier-Tourenne C, Hutt KR, Huelga SC, Moran J, Liang TY, Ling SC, Sun E, Wancewicz E, Mazur C, Kordasiewicz H, Sedaghat Y, Donohue JP, Shiue L, Bennett CF, Yeo GW, Cleveland DW. Long pre-mRNA depletion and RNA missplicing contribute to neuronal vulnerability from loss of TDP-43. Nat Neurosci. 2011 Apr;14(4):459-68. [PubMed]. Salta E, De Strooper B. Noncoding RNAs in neurodegeneration. Nat Rev Neurosci. 2017 Oct;18(10):627-640. [PubMed]. Naldini L. Gene therapy returns to centre stage. Nature. 2015 Oct 15;526(7573):351-60. [PubMed]. Jiang J, Zhu Q, Gendron TF, Saberi S, McAlonis-Downes M, Seelman A, Stauffer JE, Jafar-Nejad P, Drenner K, Schulte D, Chun S, Sun S, Ling SC, Myers B, Engelhardt J, Katz M, Baughn M, Platoshyn O, Marsala M, Watt A, Heyser CJ, Ard MC, De Muynck L, Daughrity LM, Swing DA, Tessarollo L, Jung CJ, Delpoux A, Utzschneider DT, Hedrick SM, de Jong PJ, Edbauer D, Van Damme P, Petrucelli L, Shaw CE, Bennett CF, Da Cruz S, Ravits J, Rigo F, Cleveland DW, Lagier-Tourenne C. Gain of toxicity from ALS/FTD-linked repeat expansions in C9ORF72 is alleviated by antisense oligonucleotides targeting GGGGCC-containing RNAs. Neuron. 2016 May 4;90(3):535-50. [PubMed]. Kramer NJ, Carlomagno Y, Zhang YJ, Almeida S, Cook CN, Gendron TF, Prudencio M, Van Blitterswijk M, Belzil V, Couthouis J, Paul JW 3rd, Goodman LD, Daughrity L, Chew J, GarrettA, Pregent L, Jansen-West K, Tabassian LJ, Rademakers R, Boylan K, Graff-Radford NR, Josephs KA, Parisi JE, Knopman DS, Petersen RC, Boeve BF, Deng N, Feng Y, Cheng TH, Dickson DW, Cohen SN, Bonini NM, Link CD, Gao FB, Petrucelli L, Gitler AD. Spt4 selectively regulates the expression of C9orf72 sense and antisense mutant transcripts. Science. 2016 Aug 12;353(6300):708-12. [PubMed]. Zhou Q, Lehmer C, Mihcaelsen M, Mori K, Alterauge D, Baumjohann D, Schludi MH, Greiling J, Farny D, Flatley A, Feederle R, May S, Schreiber F, Arzberger T, Kuhm C, Klopstock T, Hermann A, Haass C, Edbauer D. Antibodies inhibit transmission and aggregation of C9orf72 poly-GA dipeptide repeat proteins. EMBO Mol Med. 2017 May;9(5):687-702. [PubMed]. Freibaum BD, Lu Y, Lopez-Gonzalez R, Kim NC, Almeida S, Lee KH, Badders N, Valentine M, Miller BL, Wong PC, Petrucelli L, Kim HJ, Gao FB, Taylor JP. GGGGCC repeat expansion in C9orf72 compromises nucleocytoplasmic transport. Nature. 2015 Sep 3;525(7567):129-33. [PubMed]. Zhang K, Donnelly CJ, Haeusler AR, Grima JC, Machamer JB, Steinwald P, Daley EL, Miller SJ, Cunningham KM, Vidensky S, Gupta S, Thomas MA, Hong I, Chiu SL, Huganir RL, Ostrow LW, Matunis MJ, Wang J, Sattler R, Lloyd TE, Rothstein JD. The C9orf72 repeat expansion disrupts nucleocytoplasmic transport. Nature. 2015 Sep 3;525(7567):56-61. [PubMed]. Jovicic A, Mertens J, Boeynaems S, Bogaert E, Chai N, Yamada SB, Paul JW 3rd, Sun S, Herdy JR, Bieri G, Kramer NJ, Gage FH, Van Den Bosch L, Robberecht W, Gitler AD. Modifiers of C9orf72 dipeptide repeat toxicity connect nucleocytoplasmic transport defects to FTD/ALS. Nat Neurosci. 2015 Sep;18(9):1226-9. [PubMed]. Ma H, Marti-Gutierrez N, Park SW, Wu J, Lee Y, Suzuki K, Koski A, Ji D, Hayama T, Ahmed R, Darby H, Van Dyken C, Li Y, Kang E, Park AR, Kim D, Kim ST, Gong J, Gu Y, Xu X, Battaglia D, Krieg SA, Lee DM, Wu DH, Wolf DP, Heitner SB, Belmonte JCI, Amato P, Kim JS, Kaul S, Mitalipov S. Correction of a pathogenic gene mutation in human embryos. Nature. 2017 Aug 24;548(7668):413-419. [PubMed]. Schoch KM, Miller TM. Antisense oligonucleotides: Translation from mouse models to human neurodegenerative diseases. Neuron. 2017 Jun 21;94(6):1056-1070. [PubMed]. Geary RS, Norris D, Yu R, Bennett CF. Pharmacokinetics, biodistribution and cell uptake of antisense oligonucleotides. Adv Drug Deliv Rev. 2015 Jun 29;87:46-51. [PubMed]. Wheeler TM, Leger AJ, Pandey SK, MacLeod AR, Nakamore M, Cheng SH, Wentworth BM, Bennett CF, Thornton CA. Targeting nuclear RNA for in vivo correction of myotonic dystrophy. Nature. 2012 Aug 2;488(7409):111-5. [PubMed]. Iwamoto N, Butler DCD, Svrzikapa N, Mohapatra S, Zlatev I, Sah DWY, Meena, Standley SM, Lu G, Apponi LH, Frank-Kamenetsky M, Zhang JJ, Vargeese C, Verdine GL. Control of phosphorotioate stereochemistry substantially increases the efficacy of antisense oligonucleotides. Nat Biotechnol. 2017 Sep;35(9):845-851. [PubMed]. Foust KD, Nurre E, Montgomery CL, Hernandez A, Chan CM, Kaspar BK. 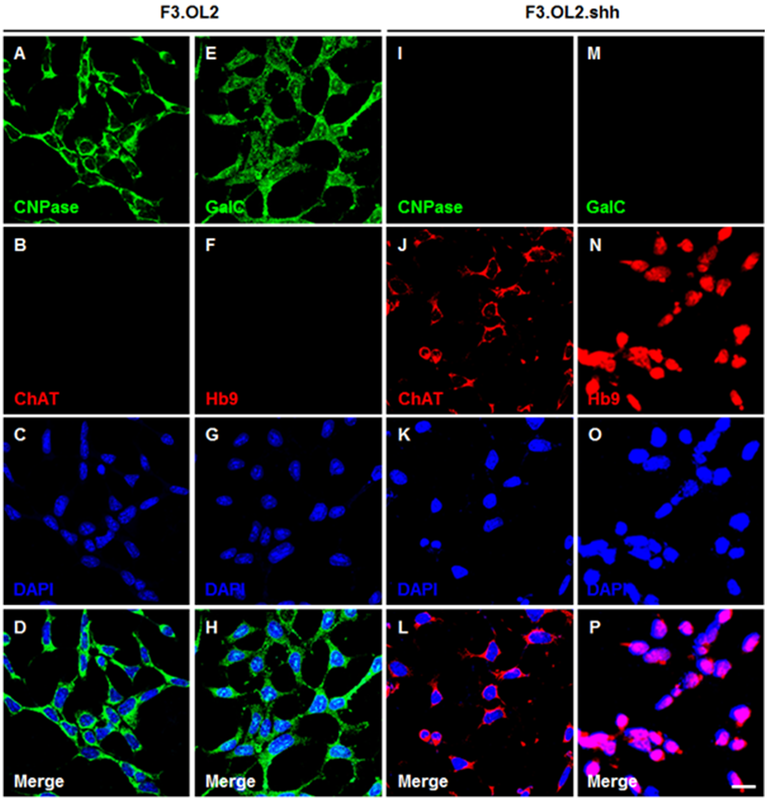 Intravascular AAV9 preferentially targets neonatal neurons and adult astrocytes. Nat Biotechnol. 2009 Jan;27(1):59-65. [PubMed].